The BI360 Data Warehouse is a next-generation, pre-configured data warehouse based on the world-leading Microsoft SQL Server platform. 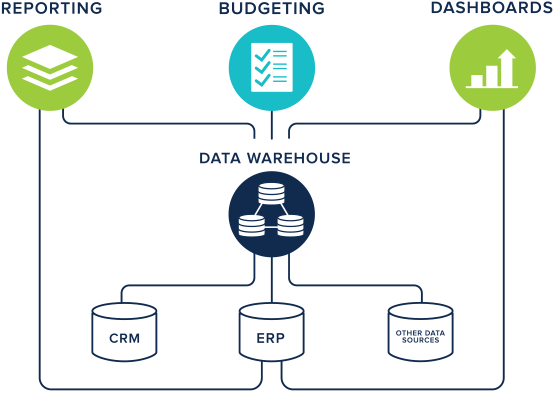 Finally a data warehouse that can integrate some or all of your transactional data sources into a single BI database that can be managed by your business users. 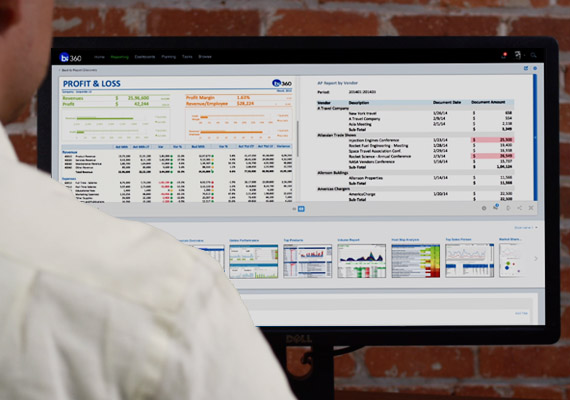 Now all of your key data, whether in-house or cloud-based, can be stored and available for consolidated reporting, analysis, and dashboards. Leverage diverse data types with a singular, high performance data warehouse platform that you can configure for company-specific analytics. In this multi-cloud and multi-system enterprise technology era, a modern, pre-built data warehouse allows you and your team to hit the ground running with a solution that consolidates your company information. Leave behind the traditionally complex, expensive, and risky planning and implementation of a "homegrown" data warehouse, often with mediocre results. Instead, deploy the BI360 Data Warehouse in days or weeks instead of months or years, and at a fraction of the cost and risk of your own data warehouse project. 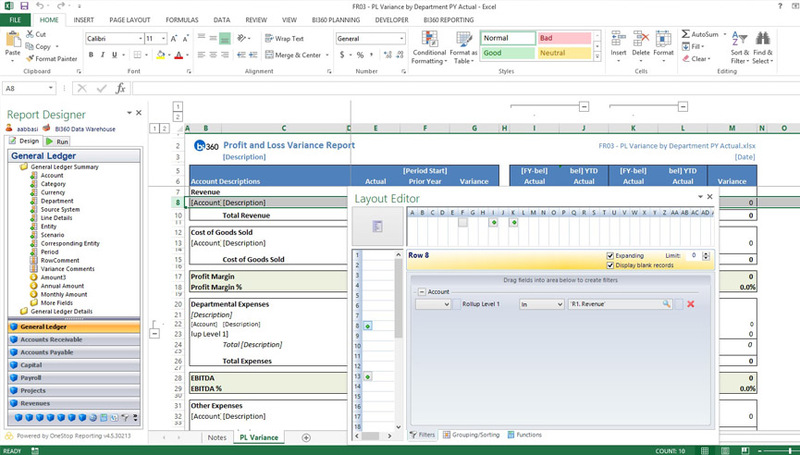 Reconcile multi-company financials or simply bring together disparate data sources for richer analyses, using the flexible and customizable data warehouse to store, organize, and utilize company information. The platform is business user friendly, so team members across your organization can access and manage company data.